Design fully customisable surveys with flexible question types, response requirements and configurable rules and actions. Our intuitive survey creation interface will have you up and running in minutes! 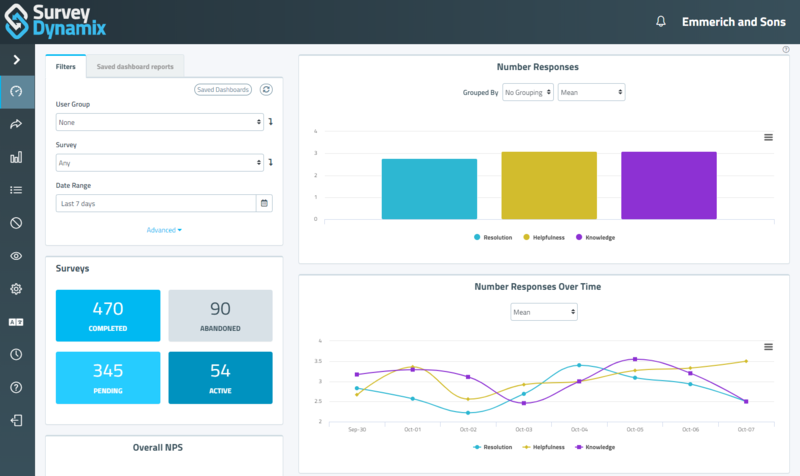 The real-time dashboard shows you all the information you need to keep track of your survey responses from moment to moment. You can even compare results by agent, contact medium, or any metadata you choose to track. Log in any time, from anywhere in the world and get immediate real time insight into your customers' experiences. Survey Dynamix uses modern responsive design and looks just as good on your phone as on your desktop. Choose the survey medium that best suits your customer. You could SMS your younger customers while older clients might prefer being transferred to the survey at the end of the call or being called at a future date. Agents can track their own survey results to see how well they are doing or find areas where they can improve. The agent dashboard provides a real-time view of the calls they have handled and they can compare their performance against their peers. 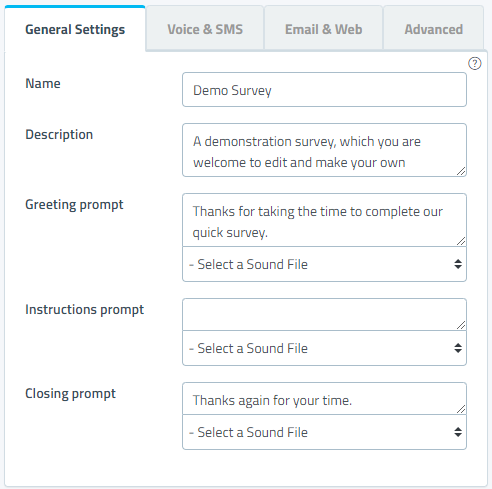 Our integrated voice recording feature allows you to easily record your own custom survey greetings and question prompts to get your survey up and running quickly. Alternatively you can upload professional voice recordings with a click of a button. This video provides an overview of what you can expect from the Survey Dynamix real-time reporting dashboard. Survey Dynamix makes integration easy. Our customers can use our Zapier.com "Zap" (currently in closed beta) to quickly set up integrations with any of the 750+ apps in the Zapier eco-system. For instance you could survey a customer after you close their support ticket in Freshdesk, feed the results into a Google Sheet and notify a channel in Slack when important feedback comes in. Using our RESTful API, survey interactions can be added with pre-filled metadata from any web-enabled 3rd party system. Because of our team's strong background in contact centre technology we've provided integration out of the box for Genesys products and can assist with specific integrations to Cisco, UCCE/UCCX, Avaya, and other contact centre systems. Find out more from our integration whitepapers here, or contact us today to find out how Survey Dynamix can support your specific requirements. Contact us about Survey Dynamix now! Fill in the form below if you would like to find out more about Survey Dynamix and to try a quick survey. Hover over a dashboard widget for details. Filter your dashboard by date range, survey, or user group to show only the results relevant to you. 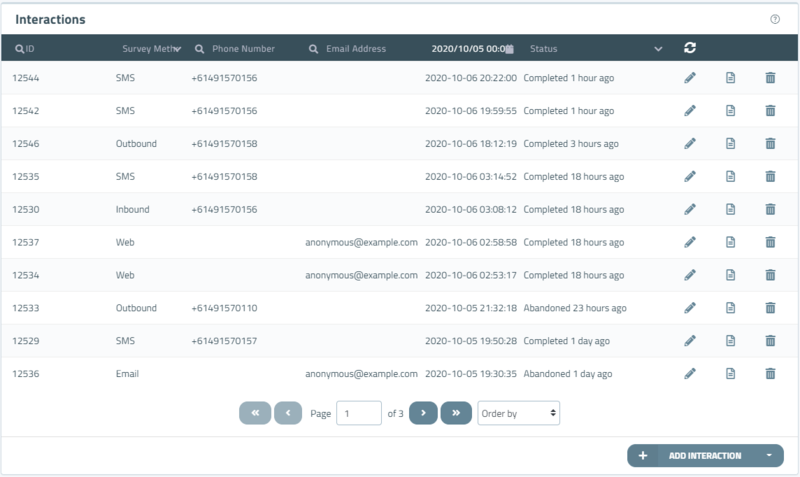 The dashboard lets you know at a glance the status of all surveys in the system, as well as how long they're taking to complete. You can compare the results of surveys associated with any agents in the system. This table shows the up-to-date average responses associated with each agent and let's you see who's getting you the best results. 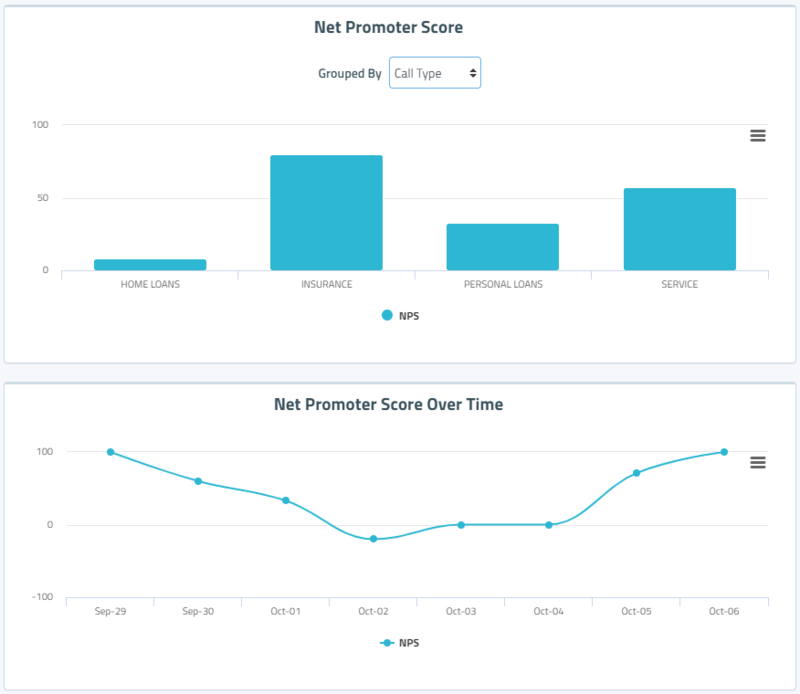 Keep track of your Net Promotor Score based on current and up-to-date survey responses. We even break down the result so that you can see how many of your customers are promoters and detractors. 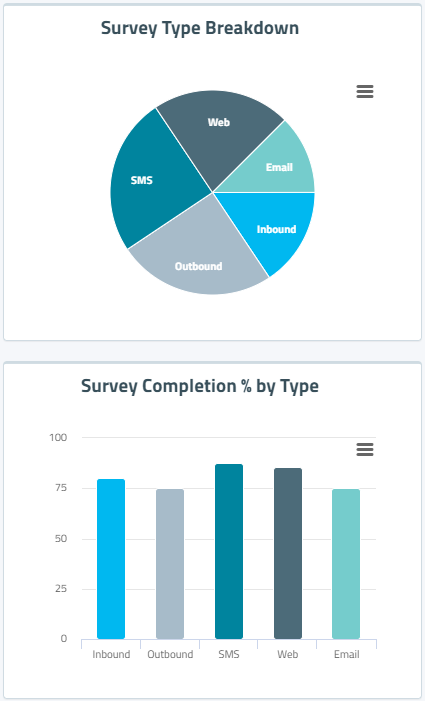 Survey Dynamix offers a variety of ways for your customers to complete surveys. 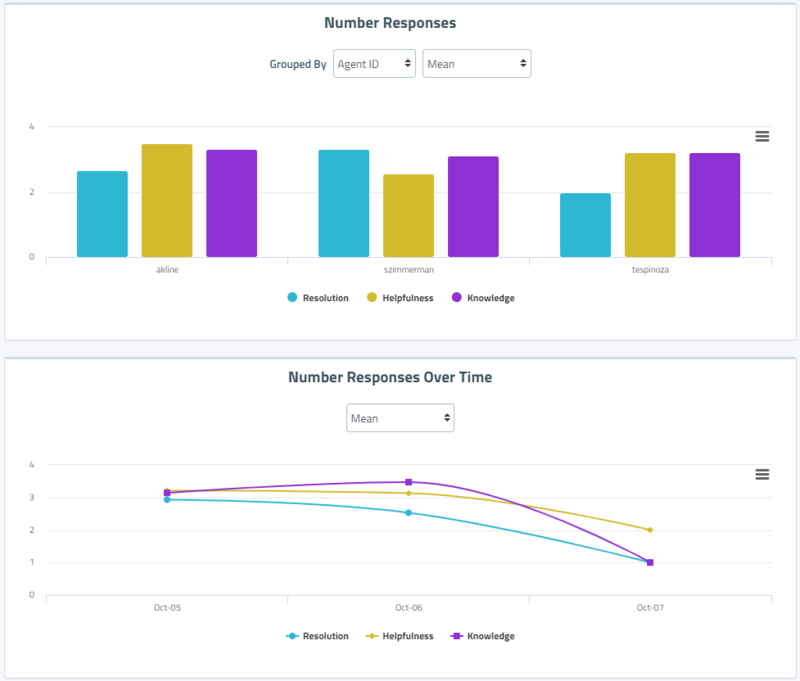 These dashboard widgets show how your surveys are broken up by medium and how successful each type can be at getting a completed survey result. See how different variables affect survey responses by comparing results by agent, survey medium, or any other variable you choose to record against your survey interactions. You can also keep track of average responses over time. Survey Dynamix lets you see any changes immediately so that you can respond to feedback as quickly as it comes in. View word clouds based on open ended feedback questions. 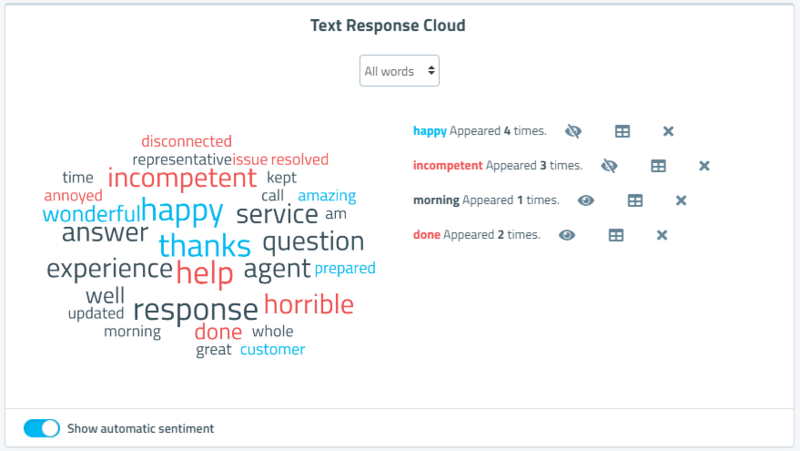 You can click on words to drill down and see lists of responses containing that word. Add a word to your Watch Words list and it will be highlighted in future word clouds and survey responses so that you won't miss feedback on topics that are important to you. 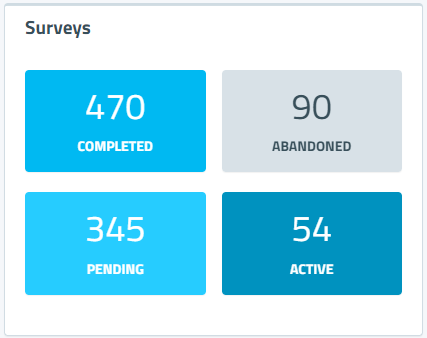 Keep track of how many respondents are completing or abandoning your surveys and when. Date ranges are always aggregated to a level that makes sense. For yesterday's results, you can see data by the hour, and for last months, you'll see daily counts. Track how your NPS® changes over time to see trends in your business. 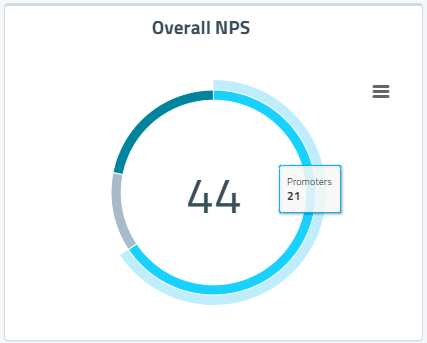 You can compare NPS against any variable you want to track to see which areas your customers are most satisfied with and where you might need to focus on improving. 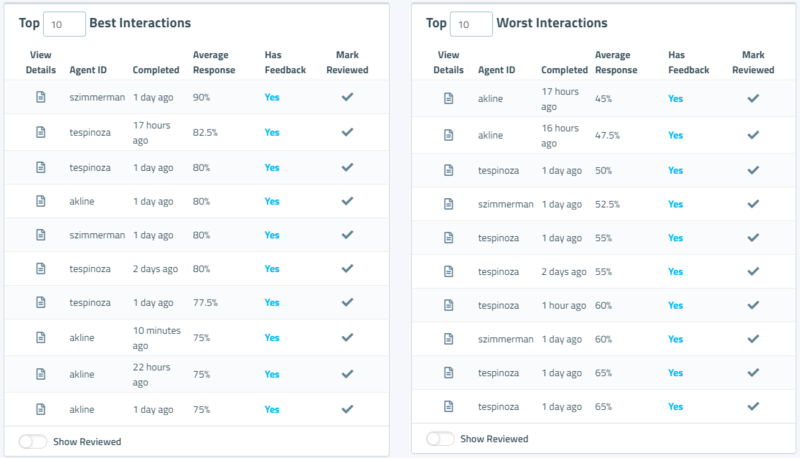 Survey Dynamix shows you the top 10 best and worst survey responses so that you can see exactly what makes people happy and can respond immediately to any negative feedback. You can see fully detailed responses, read any written feedback, and even listen to recordings left by your customers. 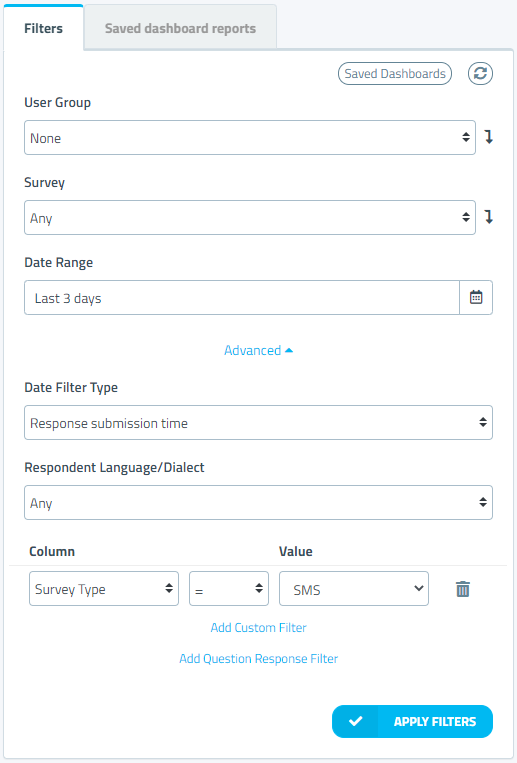 Hover over the Survey Management UI for details. Once you name your survey, add opening and closing messages, and choose any voice or sms connections you want to use, you're good to go. But don't forget to add questions! 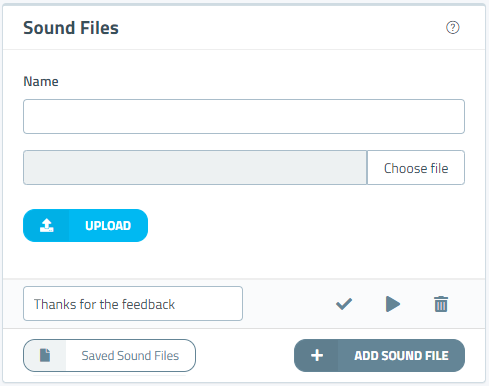 You can upload sound files to use in your greetings, instructions, questions, or closing messages for voice surveys. We also offer an easy phone IVR interface so that you can always record ready to use voice prompts. We offer a variety of question types including number inputs, free text response, and simple yes/no. Each question type works intuitively over all survey media and can be fully customised to your needs. 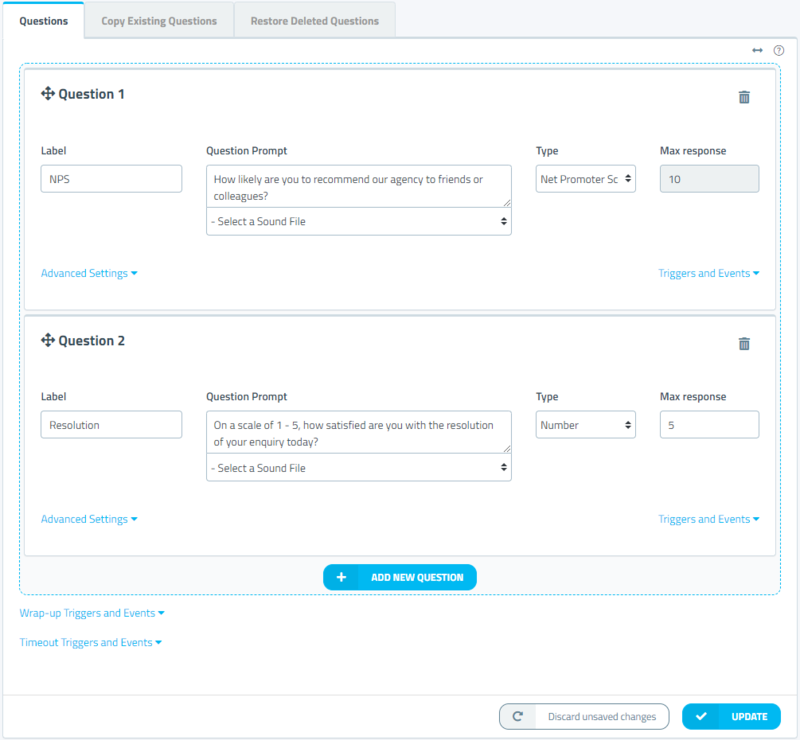 You can save questions for use in other surveys, and can even configure dynamic actions based on question responses to make your surveys react dynamically to your customers. 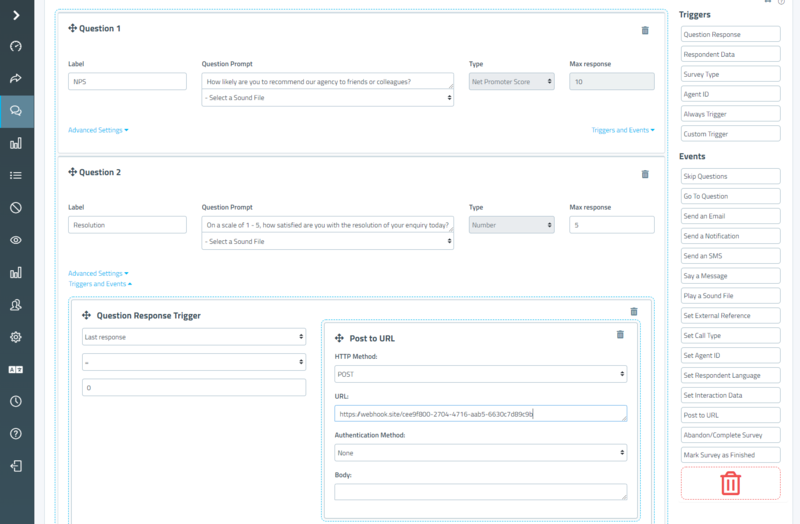 It's easy to schedule individual surveys through the survey management UI, but that's probably not what you need if you're expecting a lot of responses. Survey Dynamix allows you to upload complete CSV lists of respondents to survey, and our RESTFUL API lets us integrate with software such as call centre solutions or websites to add and manage interactions automatically. 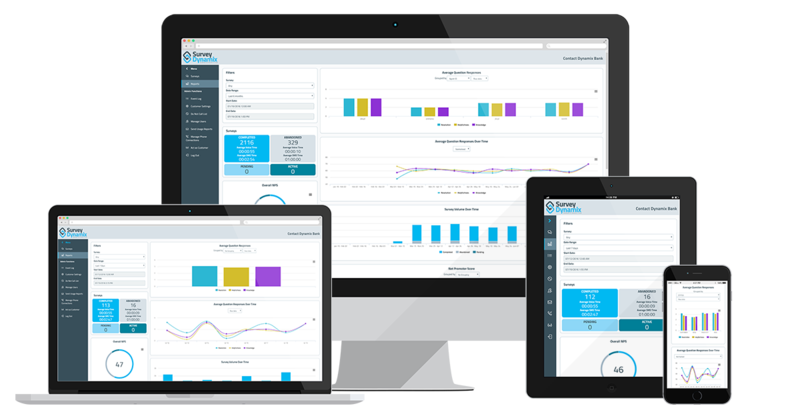 Survey Dynamix is cloud based, so your admin dashboard is accessible wherever you are, whenever you want! We use modern responsive design so our interface looks great on all your devices. We have all the functionality you need in our web interface. You can keep completely up-to-date on survey results using our real-time reporting dashboard. 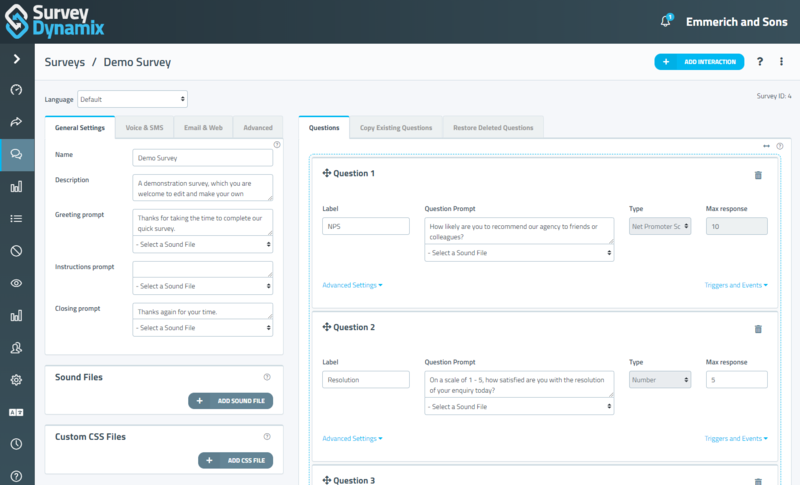 And our survey management interface lets you take control of your surveys and add new questions relevant in the moment. In a pinch, you can even use our phone interface to record custom voice survey prompts!